Just 20 feet from stardom, an elite group of “First Call, A-List” musicians share their behind-the scene stories of touring, what it takes to play next to the world’s most iconic musicians, and create some of the world’s most popular songs. 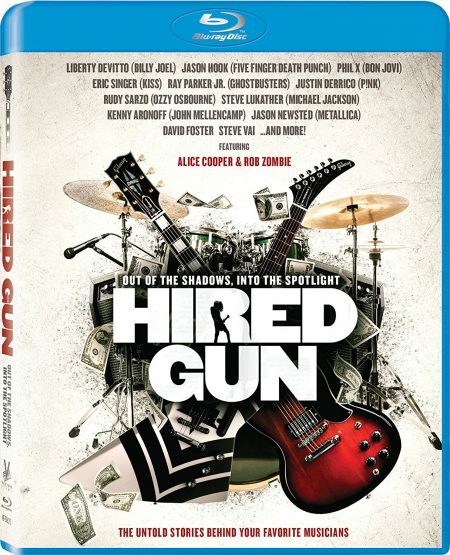 Hear incredible stories from Alice Cooper, Rob Zombie, Steve Vai, David Foster, Ray Parker Jr. (Ghostbusters), Liberty DeVitto (Billy Joel), Jason Hook (FFDP), Phil X (Bon Jovi), Kenny Aronoff (Mellencamp), Rudy Sarzo (Osbourne), Justin Derrico, Mark Schulman (P!NK), Jason Newsted (Metallica), Eric Singer (KISS), John 5 (Rob Zombie), Glen Sobel, Nita Strauss (Alice Cooper), Steve Lukather (M. Jackson, Toto), Paul Bushnell (Katy Perry), Jay Graydon (Steely Dan), Derek St. Holmes (Ted Nugent), Chris Johnson (Rihanna), and more! In a unique collaboration between Verve Records and Walt Disney Records, the two esteemed labels have teamed up to present the compilation album We Love Disney, which will be released in October 2015. The compilation features the hottest artists from across the pop, rock, R&B, and country worlds delivering their own unique interpretations of classic Disney songs. The album was produced by multi-platinum, Grammy® Award-winning producer and Verve Music Group Chairman David Foster. The artists and songs that will be featured on We Love Disney will be announced in the coming weeks. As part of this release we have a special offer that will only be available until July 10th! Immerse yourself in a once in a lifetime opportunity to record It’s A Small World by joining the We Love Disney Choir! Through this VIP experience you will work with 16-time Grammy Award winning producer David Foster & his team to record your vocal performance and have it included in the chorus of It’s A Small World. This recording will feature superstar artists (that will be announced at a later date) and will be made commercially available worldwide. This recording will also be included on one (1) or more versions of the We Love Disney album!